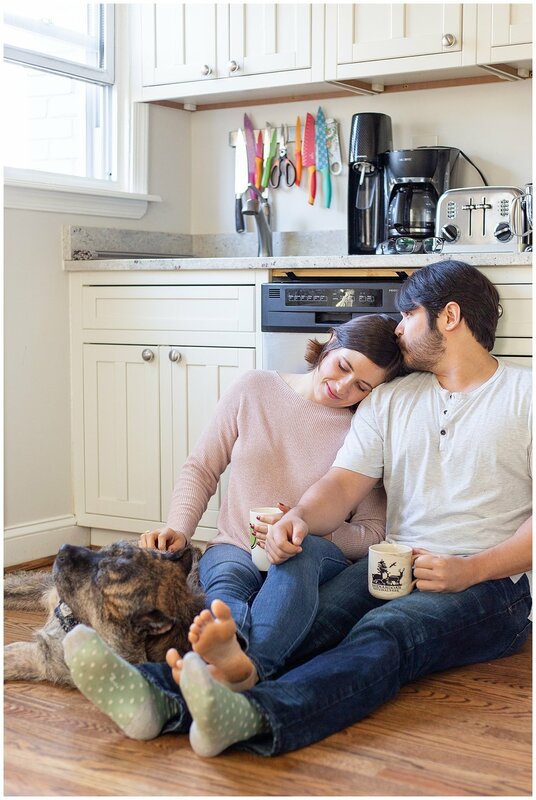 I'm a big, big fan of the cozy at-home engagement session. I’ve noticed there’s something about being in someone’s space that allows their personality to really shine through. 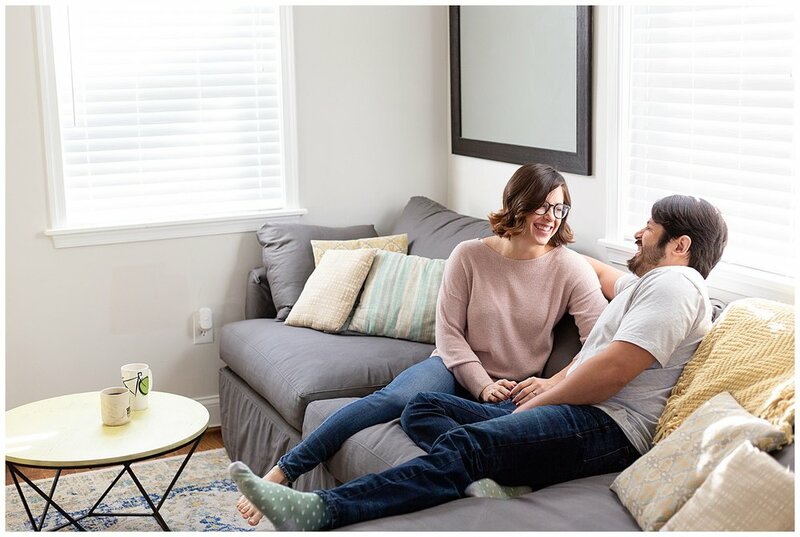 The comfort of being at home means I get to observe and capture who they are when no one’s looking (except me, ha!). Kate and George basically giggled for an hour straight during their morning winter session. Who they are is lighthearted and silly! 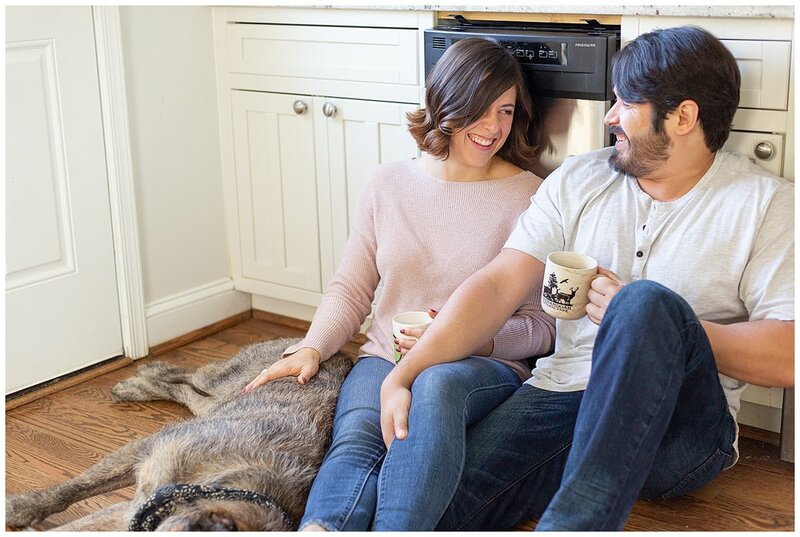 It was so much fun spending time with them in their beautiful row house, drinking coffee, playing with their pup (see those photos below), and capturing their relationship. I can only imagine how much fun their wedding day on the National Mall is going to be this spring!